This is a shield-shaped Watch Your Weight porcelain sign. This particular Watch Your Weight sign is white with blue and red print. 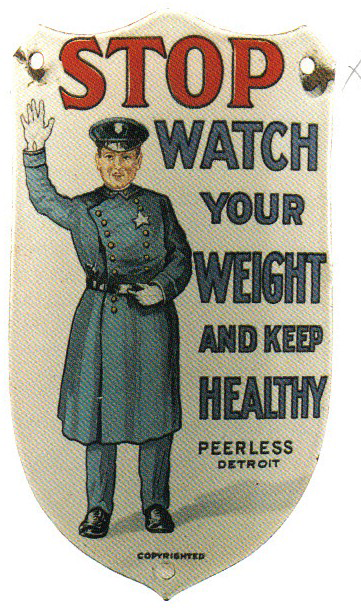 It reads, “Stop, Watch Your Weight and Keep Healthy, Peerless, Detroit” and features a policeman wearing a blue uniform on the left side of the sign.